After being frozen out by European migration policies, thousands of migrants and refugees now find themselves trapped in freezing conditions in shelters that are ill adapted to winter in Greece and the Balkans. The cynical neglect of European States policies, compounded by icy temperatures and a lack of preparation for winter have worsened an already unbearable situation for thousands of men, women and children seeking protection in Europe. Médecins Sans Frontières has repeatedly called on the authorities in Greece and the Balkans to improve conditions in time for winter. "In Belgrade, around 2,000 young people, mainly from Afghanistan, Pakistan, Iraq and Syria are currently sleeping in abandoned buildings in the city centre, whilst temperatures plummet to as low as minus 20." More than 7,500 people are currently stranded in Serbia, living in overcrowded camps and informal settlements. The country has agreed with the EU to host up to 6,000 people, of whom only 3,140 live in facilities adapted to winter. In Belgrade, around 2,000 young people, mainly from Afghanistan, Pakistan, Iraq and Syria are currently sleeping in abandoned buildings in the city centre, whilst temperatures plummet to as low as minus 20. In recent months, Serbian authorities have severely restricted the provision of humanitarian assistance to these people, only tolerating volunteers doing a basic distribution of blankets and food. Médecins Sans Frontières has installed some emergency space heaters as a desperate measure to try to protect people and is currently negotiating with authorities to further increase the shelter capacity: “Several people have already died of hypothermia at the borders of Serbia and Bulgaria, we cannot simply sit and update the number of those who die during the dangerous border crossings or fall victim to violence since the closure of the Balkan road” says Stephane Moissaing, Médecins Sans Frontières’ Head of Mission in Serbia. The situation is no better on the Greek islands where thousands of people are still stuck in overcrowded camps, living in flimsy tents in sub-zero temperatures. “These families abandoned under the snow and freezing rain, are paying the price of European cynicism and of its reprehensible deal with Turkey,” says Médecins Sans Frontières Head of Mission in Greece, Clement Perrin. “We call on Greek authorities and the EU for immediate emergency measures to ensure that all refugees and migrants on the islands are housed in dignified, adequate living conditions”. 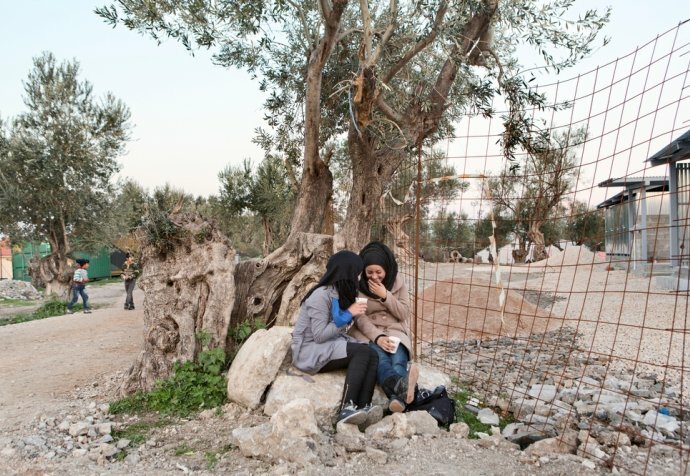 The majority of people Médecins Sans Frontières psychologists have seen for mental health consultations in recent months in Samos and Lesvos cite poor living conditions as being either the cause of or an exacerbating factor in their psychological difficulties. “Greek authorities must stop congratulating themselves on humanitarian achievements while thousands of people are left to suffer in harsh winter elements as they wait for their asylum claims to be processed. No person seeking protection, fleeing war, torture and extreme violence should be left out in the cold,” concludes Perrin.